The ideal desk reference, procedural guide, and training and management tool for the banking professional. 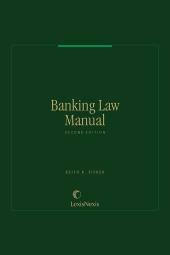 Banking Law Manual, Second Edition also incorporates and appraises the changes mandated by the groundbreaking Gramm-Leach-Bliley Act of 1999 on financial services modernization. Keith R. Fisher, an honors graduate of Princeton University and Georgetown University Law Center, is currently Principal Consultant and Senior Counsel for Domestic and International Court Initiatives at the National Center for State Courts. Most of his prior career was spent in private practice, except for a 12-year period as a full-time law professor. He is a nationally known expert on domestic and international financial services regulation and legal and judicial ethics. 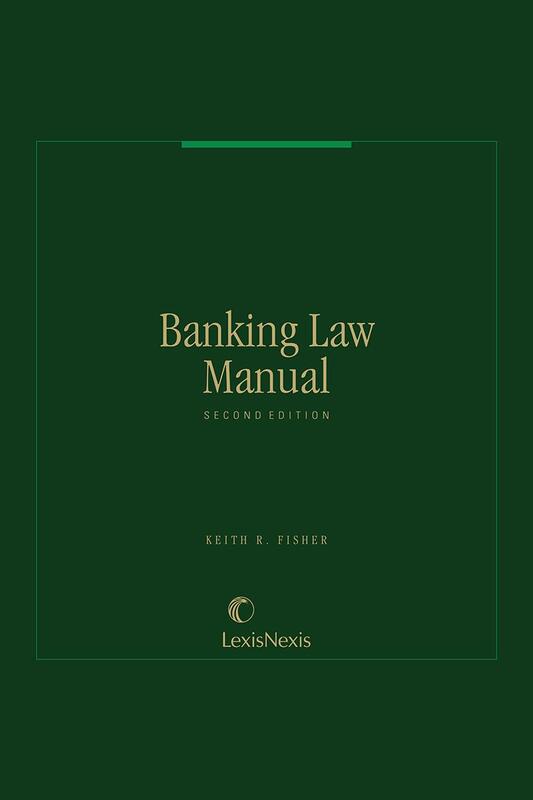 Keith has taught virtually all courses in the domestic and international banking, commercial, and business law curriculum, as well as legal ethics and constitutional law. His published scholarship has appeared in a wide variety of law reviews and anthologies, and some of his articles have won prizes or honoraria or been cited in judicial opinions. In 2015, he took over the authorship and updating of Matthew Bender’s Banking Law treatise. Currently chair of the Professional Responsibility Committee of the A.B.A. Business Law Section and a member of the A.B.A. Standing Committee on Ethics and Professional Responsibility, Keith was the principal drafter of the A.B.A.’s amicus curiae briefs (at both the certiorari and merits stages) to the U.S. Supreme Court in Caperton v. Massey Coal Co. (dealing with the due process ramifications of a judge’s refusal to recuse). Keith also has a degree in music theory and composition and studied as a child at the Juilliard School of Music in New York. He had a leading role in the Franco-Swiss docudrama Cleveland vs. Wall Street, which was selected for the Cannes Film Festival in 2010. He enjoys racquet sports, is an avid chess and bridge player, and has a love of learning about foreign languages and cultures. He speaks French, Italian, German, Spanish, Greek, and a smattering of Japanese.